> The cloths are very soft, voluminous, plush free and free of silicone. > Can also be used for cockpit cleaning. 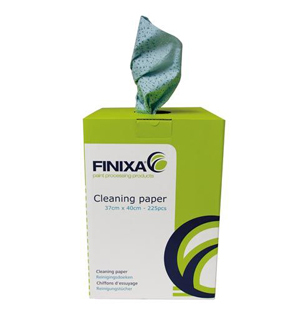 > Universal cleaning cloth with a large absorption capacity. > Comfortable handling due to the fact that these cloths are voluminous and soft. > Suitable for all kinds of applications such as degreasing and cleaning with solvent based products or oil. 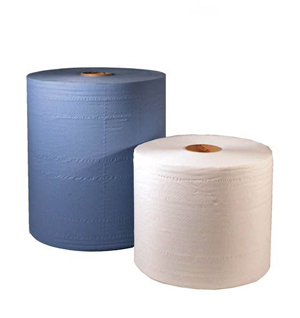 > Cleaning paper white 2 layer and cleaning paper blue 3 layer for all kinds of maintenance. 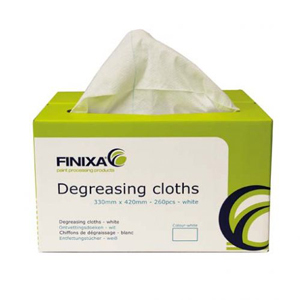 > The cloths have a large absorption capacity to hold as much degreaser as possible. 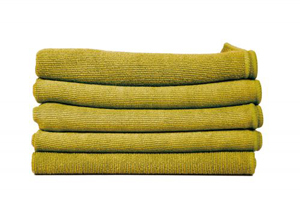 > Suitable for water based and solvent based degreasers. > Plush free, re-usable and free of silicone. > A handy tool in degreasing, the well known SOF 19 now also available in a handy dispenser bucket which you can add 3l of DGR and always have your wipe ready for use! 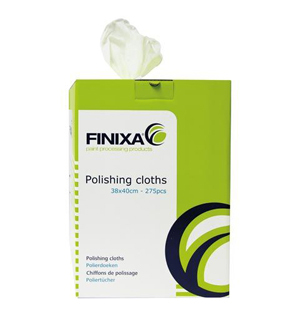 Finally we have the super soft green Finixa microfiber cloths, packed 5 pieces, ideal to remove polish rests and to create a gloss on the surface.